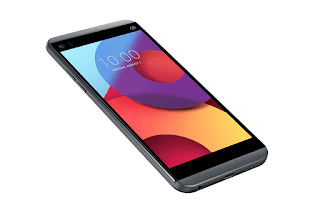 LG has launched yet another smartphone called LG Q8. This is coming after the launch of Q6, Q6a and the Q6+. LG Q8 is the latest device lineup in the Q-series with more features. The Q8 features a 5.2 inches corning Gorilla glass 4 display with multi-touch feature, 4G LTE enabled, fingerprint sensor, water and dust resistant. It also features a Dual rear cameras 13/8MP with dual LED and a single 5MP front facing camera. The Q8 came running on Android 7.0 Nougat which is powered by a Qualcomm MSM8996 Snapdragon 820 chipset. Have a look at the full specs sheet below. Video [email protected], [email protected], [email protected], 24-bit/48kHz stereo sound rec. PRICE About €599 in Europe/ $ 699 in USA. Wow.. Never knew lg had good products..